It was Wednesday and I had no idea what we should send to Grandpas for Father's Day. We put these together pretty quickly and I think they turned out great! One challenge I always have with making cards for Grandmas or Grandpas is that my son is blessed with so many "grands" who love him, so we need to make a bunch of cards and its easy for him to loose interest. So I planned a few shortcuts so that we could make 5 cards a little more quickly. First I had him write out the letters for "Grandpa" then I photo copied it and he glued onto each card. 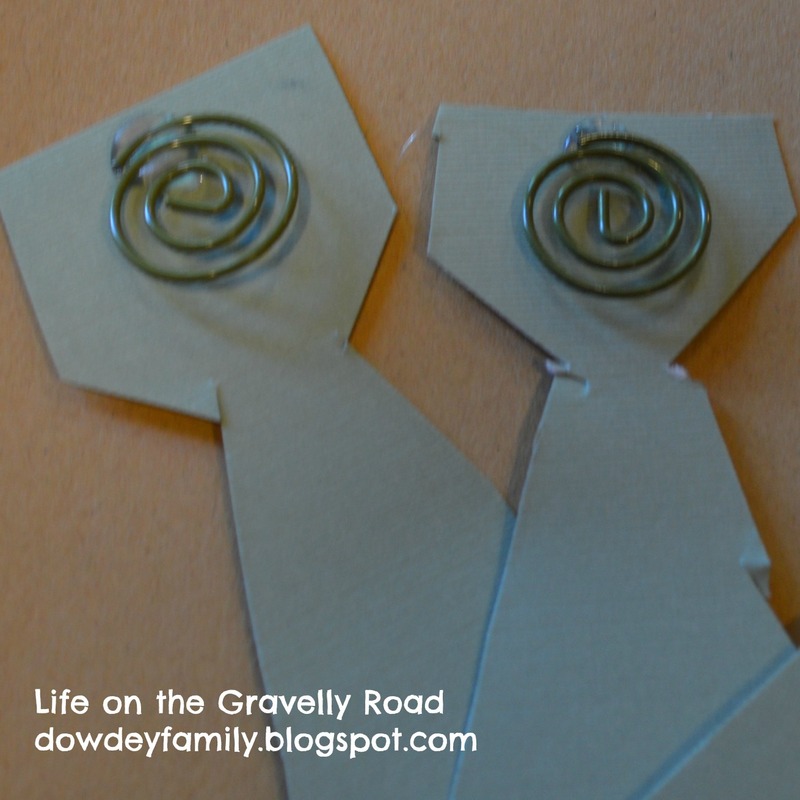 Then I cut out a tie shape out of cardboard and we traced it onto scrapbook paper. He cut out all the ties himself. 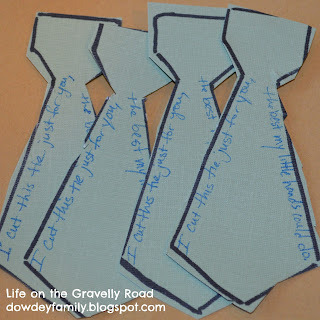 The I wrote on each tie "I cut this tie just for you, the best my little hands could do". 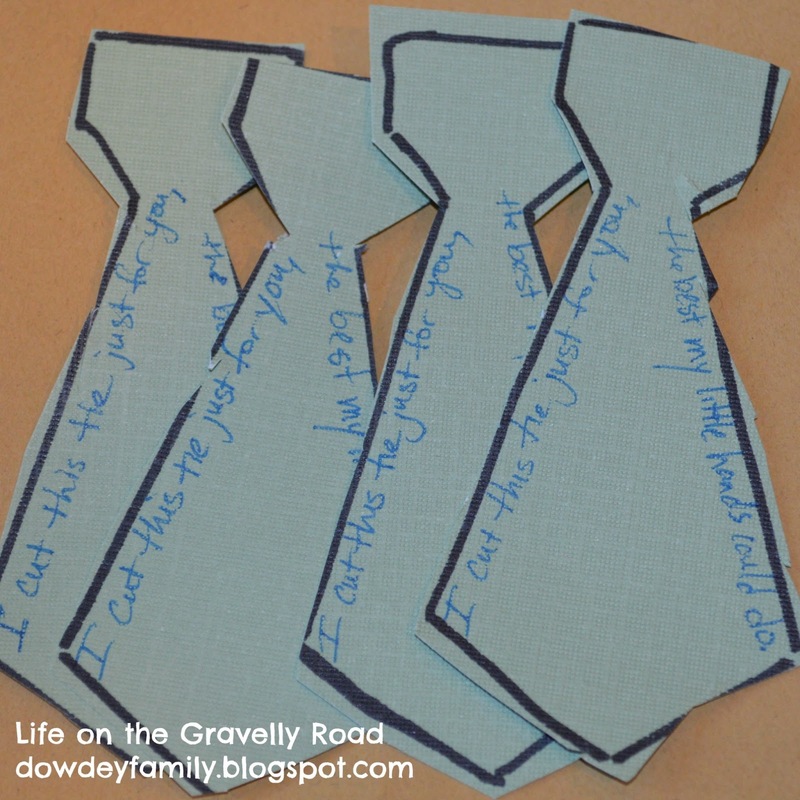 On the back of each tie I hot glued a paper clip so they could be used as bookmark and be clipped onto the front of the card. 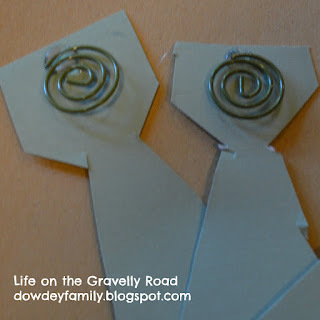 (I had cute curly ones but regular ones would work great too.) I added my son's name and the year on the back. On the inside of each card I simply wrote "Happy Father's Day" and my son wrote his name. 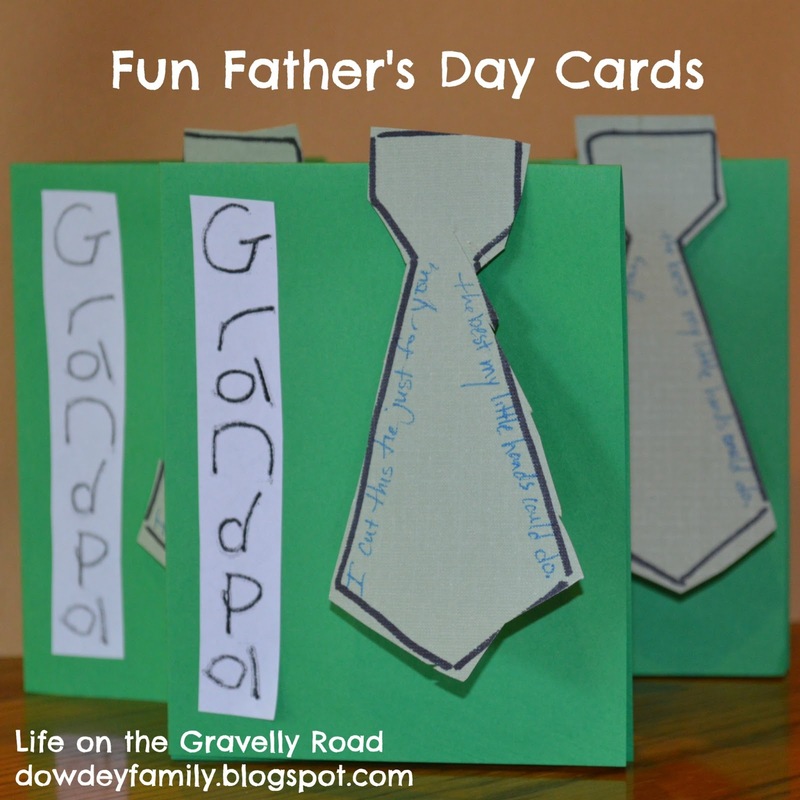 Simple and fun Father's Day cards on the gravelly road. I hope grandpas like them!